It is all mind-blowing to idea to have some stylish display units on your interior wall area to display your items of decors and interest! Display unit or shelves on the wall just lure the numbers of views of that particular wall area and here we are to make it all easy for you to gain custom wall display units! 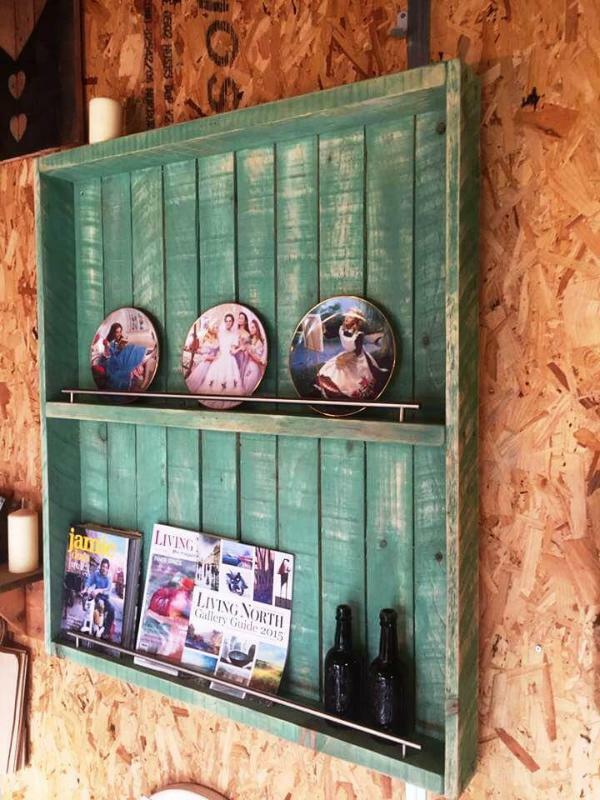 Get inspired of this DIY pallet wall unit, done with single separated lengths of pallet, resized and put together tightly! Same lengths of pallets builds the accent border and inside shelving levels which has been secured more using custom metal fences! The overall appearance of this wall display unit is distressed green which has been magnified through metallic touch from shelve fences, reduce the dangers of your organized things falling down! 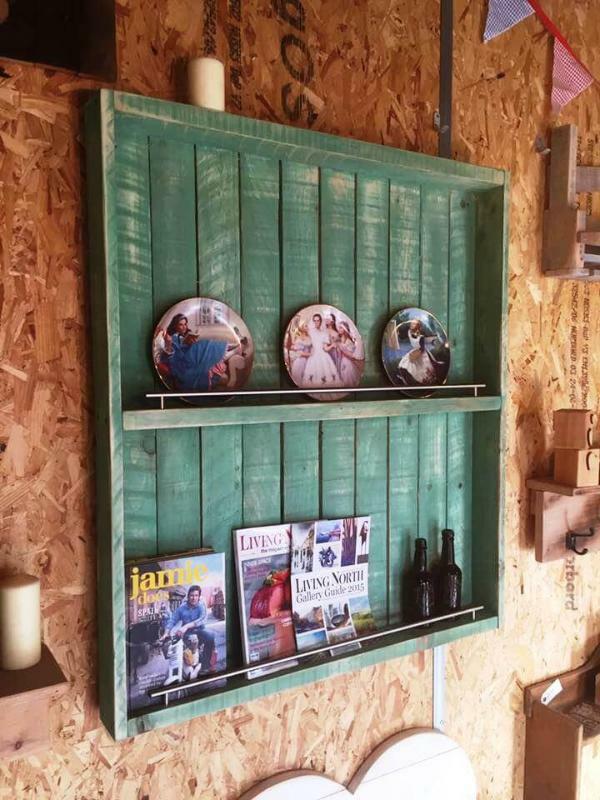 One can prefer paint, custom stain and varnish coats along with a wooden sealant to give visual variations to this hand-built wall display unit! 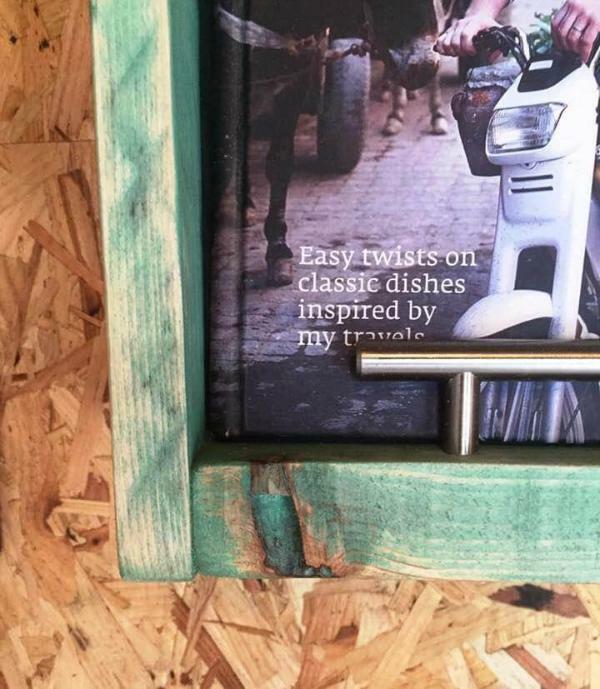 Beautiful wall unit to display your antique crafts and other items of interest, having a damn rustic look created through distressing! There are metal fences added to shelving levels, will the avoid the organized things falling off! It would be amazing to organize your dishes and magazines over the shelving levels! Here slats of pallets have been put together and then added with borders and shelving levels for getting a beautiful display unit! 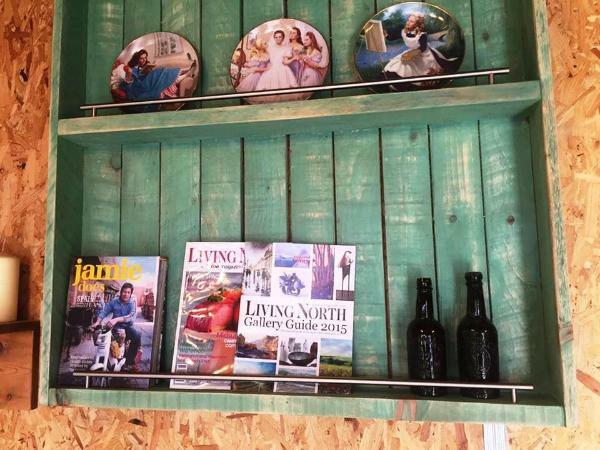 Here you can install the metal fences to shelves before inserting the wooden plank to display unit frame! You can also paint it modern using custom paint shades!